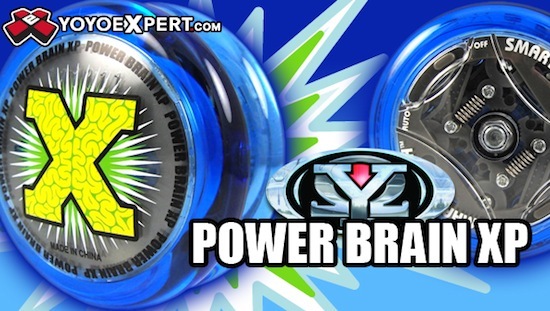 The X-Brain is the newest invention from Yomega for beginner yo-yos, one of the largest yoyo manufacturers in the world. Founded in 1983, Yomega created the first auto-returning clutch-system and with their newest release has taken that a step further. The X-Brain is adaptable. This yoyo is built around the SmartSwitch technology that allows the player to select between two different modes of play. Beginner level players will want to select the 'automatic' return mode. This mode does not require the use of bind returns and allows a beginner player to build on their skills. When reaching the intermediate level, the player can then move the switch to 'manual' return mode and work on more advanced tricks. This yoyo comes in four distinct colors and will really be able to help both beginner and the basic intermediate players improve their game and would be especially good for a player's first yoyo.